It is with great sadness that we announce the passing of Teddy, a great husband, father, grandfather and great-grandfather, on January 24th, 2019. Teddy was born in Baliene, Cape Breton to the late Alex T. and Rose Mary (Lahey) Burke. Teddy is survived by his wife, Bessie; children Mildred (Angus) Riles, Wilson (Beryl) Eavis, Leonard (Patsy) Burke, and was a very special Poppy to grandchildren Lori Riles, Kenny Riles, Terry Riles, Victoria Eavis, Simon Eavis, Andrew Burke, Nicholas Burke and Justin Grant, as well as his 10 great-grandchildren. Teddy is also survived by his brother Billy (Diane)Burke, sisters Marie Burke (Brian), Helen (Mike)Jefferies and Sadie (Glen) MacKinnon. Besides his parents, Teddy was predeceased by his brothers George, Joe, Bob and Fred, and sisters Mary, Lucy, Rachael, Viola, Margaret and Theresa. Teddy was known especially for his smile, his friendliness and his willingness to help anyone, anytime. He was a real Jack-of-All-Trades, easily turning his hand to all facets of building and construction. His love for picking bakeapples, cranberries,blueberries and foxberries for Bessie was only enhanced by his generosity in sharing so many with those he loved. It’s a wonder there was ever enough to go around, but there was, and he made sure everyone had some. For decades Teddy worked in every aspect of the fishing industry, from being a plant worker to a hard pressed fisherman for both the inshore and offshore sectors. For several other years he enjoyed his career onboard the bulk carriers of the Great Lakes, never once complaining or needing to be told twice what to do. He was anything but lazy. There was nothing he couldn’t do. During his retirement years, he would meticulously maintain the grounds and buildings of the Driftwood Campground in Bras d’Or, enriching the days of all those people he camped with, through his infectious smile and his attitudes always so positive and encouraging. He will truly be missed by his family and all who knew him. Teddy Burke was a great man! A huge thank you to the staff at both the Spanish Bay and Mira Bay units of Harbourstone Enhanced Care facility for their wonderful love and care so willingly given to Teddy. Words cannot say enough. Thank you as well to Dr. Steven Hall for his continued care. 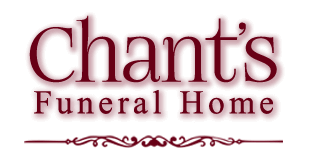 Finally, a very special thank you to Jill, Sheldon and the staff at SW Chant & Son Funeral Home for connecting all the dots in making this process so complete. Cremation has taken place. Celebration of life will be held Sunday, January 26, 2019 at 2:00p.m. In the SW Chant & Son Funeral Home Chapel, 564 Alexandra St. Sydney. With Rev. Sheldon Chant officiating.